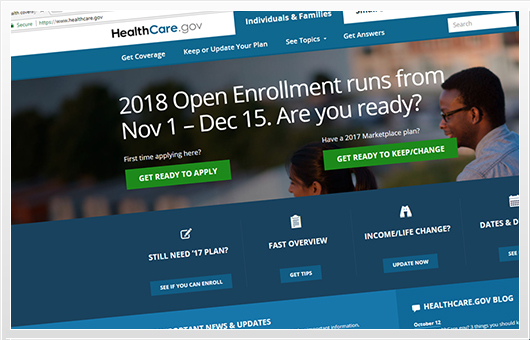 Harrisburg – October 30, 2017 — Sen. Jim Brewster (D-Allegheny/Westmoreland) reminded individuals and families who need health coverage through the Affordable Care Act for 2018 that the open enrollment period begins on Nov. 1 and runs through Dec. 15. “It is important for individuals and families to understand that they can access health care through the insurance marketplace,” Brewster said. “With the attempted repeals of the Affordable Care Act, there has been a great deal of confusion about the future of the marketplace. The marketplace will be open for enrollment in November. Brewster said that lawmakers need to reverse the impression that access to health care coverage is not available. Individuals can re-enroll or enroll for coverage by visiting HealthCare.gov or call the Marketplace Call Center 24 hours a day at 1-800-318-2596. The Affordable Care Act has helped more than a million Pennsylvanians receive health care. More than 700,000 individuals gained coverage through Medicaid expansion and another 400,000 purchased coverage on the individual marketplace. According to the Wolf Administration, the state’s rate of uninsured Pennsylvanians is at 5.6 percent, its lowest level ever. “Taking a moment of time to explore the insurance marketplace to find the right insurance plan for your family is a good investment,” Brewster said. “Health insurance provides life-saving access to care and saves individuals and families money when they face medical issues.